Did homo-sapiens have an aquatic phase in their evolution? 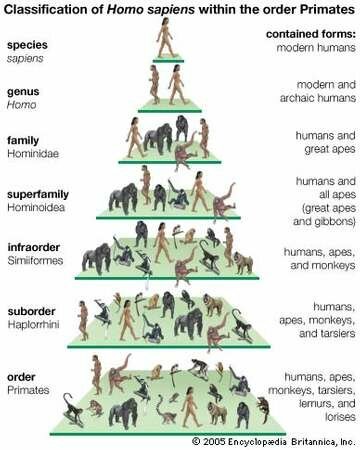 We know that homo-sapiens and our earlier homonid predecesors evolved from woodland apes. The fossil and DNA record confirms this. We also know that about a million years later, homonids were found on the savannah, walking on two feet and hunting. But what happened in the missing 1 million years? Our original woodland ape ancestor ate fruit and nuts, much like modern chimps. And they likely spent most of their day eating, to take in enough calories from vegetation, much like modern chimps. But the homonids who hunted on the savannah were different. Meat is so nutrient rich that you only need to eat a few times a day to get what you need, rather than all the time. So you can see why early homonids switched to hunting to supplement the gathering of fruit, veg and nuts. There is only one problem with this. Hominids (and modern humans) have very little in common with other animals that hunt meat. Most carnivores are either very fast sprinters (the cat family) or endurance hunters (the dog family). They run on all fours. They have fur on their bodies to protect them. They have sharp claws and powerful jaws with very big insisors. We don't have any of this. So we are NOT physically adapted for the savannah and the hunt. We adapted it to using our brains (strategy) and tools (spears, flint etc). So what are we adapted for, given that we are so different from our fruit-and-nut eating ape cousins? We might be adapted for water. The zoologist Desmond Morris pointed out that there were very few mammals that had no hair on their bodies. Only the aquatic mammals shed their hair. Whales, dolphins and hippos which liked to submerge themselves in lakes. We are the only ape that can swim. In part this is down to our flexible spines (something chimps and bonobos lack). In part this is due to the position of our nostrils. They are under our nose. That means that when we are swimming, face down, the nose acts like a streamlined fin, allowing water to stream along it, but not letting any into the nostrils which are behind the tip. Chimps and Bonobos, with their big upturned nostrils would get water into their lungs in no time (which is why both refuse to get into the water). Then there is the webbing between our fingers (someting aquatic animals have but apes do not). Then there is our diving reflex. In common with dolphins, when submerged under water we constrict the flow of blood to our extremities to preserve the heart and brain. This is especially pronounced in babies less than 6 months old who can happily swim under water, though they won't be able to walk for another year. Desmond Morris hypothesised that in the missing period between out ape-like woodland phase and our emergence onto the savannah with weapons, we evolved away from other apes in a coastal marine environment, where we shed our hair, learnt to swim and hunt fish and navigated the area between sea and land by standing on two feet upright. The climate must have changed to force us onto the savannah. And we had to develop artificial means of surviving the savannah - tools and strategy rather than changing our physiology. If Desmond Morris is right this explains why we build most of our cities near water - either ports like London or New York. or next to lakes (Chicago) or rivers (Paris). We really are the aquatic ape with a distant memory of our woodland selves (and hence fondness for anything sweet that reminds us of lucious fruit that were ready for picking), and the modern necessity to take in calories quickly which means eating fish or meat.